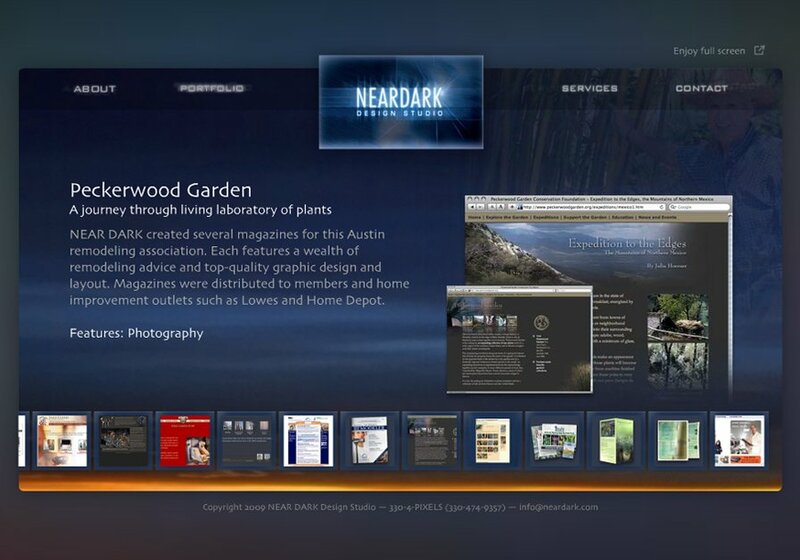 NEAR DARK Design Studio is a collaborative of artists, programmers, writers, and photographers. We build quality sites using CSS, XHTML, or Flash technologies. View our work on our portfolio page, shown above.